We drive electric cars, we have solar panels on the roofs of our homes, and we can buy clothing made of recycled materials. Industries are greening up, encouraging customers to do better, without significantly changing their behaviour. The world of printing needs greening up too. Printer ink is highly toxic and cartridges take up to 450 years to decompose. Add the extremely high cost of ink and you have good reason to use less of it. Ecofont provides a smart piece of software that helps you use less ink. 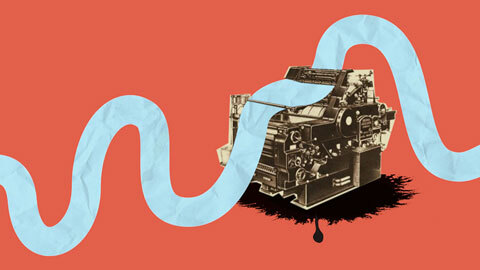 You print the way you’re used to, with the quality you’re used to – nothing changes. 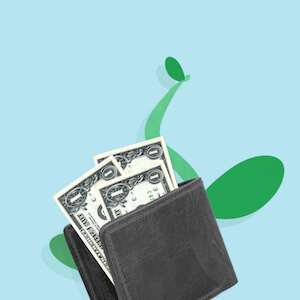 Your wallet wins, the environment wins. But to our astonishment, manufacturers of printers and ink are opposing us. Instead of embracing our eco innovation, they’re blocking people to use it. The reason: they make heaps of money by selling ink. That’s why they won’t let you use cheaper or reused cartridges, and also why they don’t want you to use less ink. You have no control of how much ink you use, except by printing less. But that’s not an option in businesses that require hard copies of documents. Stand up to this economic and environmental madness and use less ink with Ecofont. It works with any printer or printing software and operates between your documents and your printer - putting ink saving into your hands. The result? 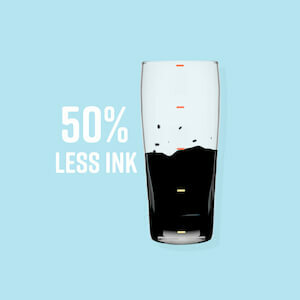 You use up to 50% less ink, without changing how or how much you print. The technology does all the saving for you. It’s just like a hybrid car. You’ll drive it like you always have, and the car saves fuel for you. 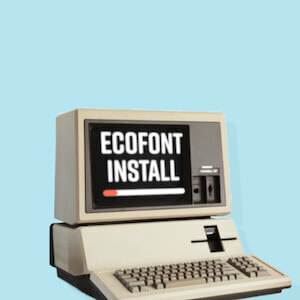 You don’t have to work for Ecofont, Ecofont works for you. Join us to make a difference. Together, we’re greening up the world of printing.